Kangana, who made her film debut in 2006 with 'Gangster', says during her journey in the film industry, she has been able to discover herself and conquer her fears. In an interview to PTI, Kangana says, "I have acted upon my fears when I was struggling and trying to discover myself, who I am. But now I feel extremely satisfied with my discovery about myself, my inherent nature, about who I am as a woman and what my tendencies and capabilities are. I left home with none of the knowledge when I was 15 but at the age of 30 I know a lot about me. "And there is a sense of accomplishment, I am a three- time National Award winner, I have shattered box office records. Even if my journey ends here right now right, I have nothing to lose. I still have a huge success story in every which ways for the rest of my life." Kangana, 31, fails to understand why she should be fearful of anything in life as she is not scared of anyone. On if she fears not getting work, the actor says she has already achieved more than what she had set out for. "Why should I be fearful now? When I left home I wanted to be independent, now I am a megastar, I am a household name, I am a woman who knows herself which was the biggest challenge for me. If I am going to be fearful now, I am going to be fearful my entire life." "What is it that this industry can give me? This industry can only take from me, it cannot give me anything. If my journey ends here, then too bad. If it continues, then good for them. I will do something else in some other field. I have a lot of faith in my abilities and I am not scared. I am not enamoured by this world and no one can pull my spirit down." Kangana seems to already have a plan in place post her career in Bollywood. "I have built a beautiful house in Manali and I look forward to spending time there, write books and once in a while direct a film," she quips. The actor was embroiled in a controversy with Hrithik Roshan, after she called him her "silly ex" in an interview, followed by the two stars slapping legal notices on each other. On if she expects a public apology or an admission of their affair from Hrithik, Kangana says, "I have said everything on this matter. This matter was over for me in 2014. It has ended... you cant do anything about it. It was a fake case. There is nothing to expect from it." After her recent appearance on show "Aap Ki Adalat", where she bared her soul about her relationship with Hrithik, the "Krrish 3" actors ex-wife Sussanne Khan came out in his support on social media. On this, the "Queen" star says, "I dont want to comment on it as it is none of my business." 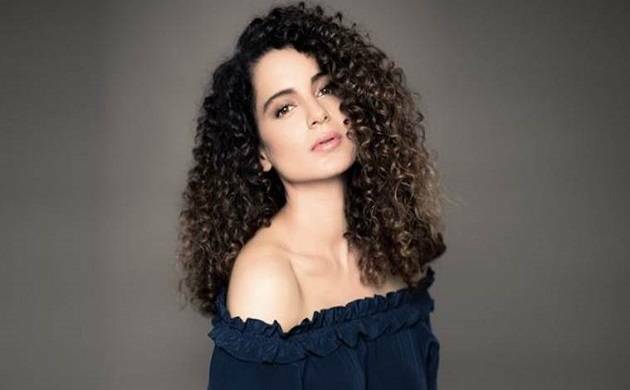 Kangana had also attacked Aditya Pancholi, an unnamed actors wife, filmmaker Karan Johar, writer Apurva Asrani, director Ketan Mehta and the Womens Commission on the show. Post the candid interview, she was hailed by several women on the social media for taking up on the biggies of the film industry. "It is for them (women) that I speak. When Karan Johar or Hrithik Roshan say anything about me and when I am shooting, I dont have time to react. I dont react for months. And because I am working, I never abandon my character for my personal gains. "And whenever I get the time and I meet media, I talk. I am going to speak up for them who care, who write long open letters and write loving stories of faith and women empowerment. I speak for them." She insists she does not speak for those people who run her down or accuse her. "For me they have lost the battle, for me they are losers. But those with undying spirit, who are thriving and surviving, have a collective consciousness, I speak for them." Kanganas next film "Simran", directed by Hansal Mehta, is set to release on September 15.